In an Italian Prison camp in the summer of 1942, British Officers captured in Africa are starving. It is in these unpromising circumstances that two men, Michael Armstrong and Harry Maynard first meet. Before the war, Michael, the son of a Norfolk teacher was expected to embark on a glittering career in the law. Harry is the son of a Hull tram conductor. To relieve the boredom of captivity, Michael suggests that they write together. Initially dismissive, Harry finally agrees and the two men begin to write side by side in the same notebooks. While Michael produces an autobiographical account of his war, Harry writes a fairy tale about an orphan girl, Pelliger, who is raised by crows and longs to fly. Centring around her quest for identity, he writes about the most powerful of human impulses of longing for love. 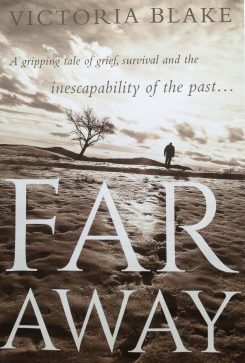 Far Away paints a vivid and compelling picture of the lives of POWs in Italy and also the lives of the Italians who risked everything to save them.